Property 1: Charming cozy cottage with a private pool! Close to the Fairgrounds! Property 4: Seaside Retreat 2 blocks from the beach. 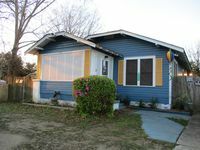 Property 5: Historic Quaint Gulf Cottage!Walk to the Beach, Parks and Downtown! Lovers Lane Oasis Cottage...Ideal for a couple or small family Coast visit!!! Property 6: Lovers Lane Oasis Cottage...Ideal for a couple or small family Coast visit!!! Charming Historic Beach Cottage just steps away from beautiful white sand beach. Property 7: Charming Historic Beach Cottage just steps away from beautiful white sand beach. Property 9: Gulf Palms Cottage.....Walk to beach, downtown, restaurants, splash pad & more! Beach View (partial), Steps from Sand! Walk to Park/Restaurants/Marina. Property 10: Beach View (partial), Steps from Sand! Walk to Park/Restaurants/Marina. Property 11: Walk to the Beach, Island View Casino, Downtown & Harbor! Pets Stay for Free! Property 15: Give Me The Sea & A Cottage With A Beach View Just To Be. This one's for ME!! COCOA'S COTTAGE!! Pet-friendly! Near the Beach! Property 16: COCOA'S COTTAGE!! Pet-friendly! Near the Beach! Property 22: Holiday House. Spacious, modern beach cottage. Walk to the beach!! Property 23: My Heart Will Always Be In A Little Cottage By The Sea. Pets are considered! Beachview Vacation Cottages - Book now for your perfect getaway! Property 26: Beachview Vacation Cottages - Book now for your perfect getaway! Unfortunately, due to thunderstorms in my home state of Georgia that apparently stretched as far as New Orleans, LA, I was not able to make the trip. This was really supposed to be a trip for my dogs who enjoy running/walking along the Mississippi coast. We had also planned to visit the bird sanctuary in Dauphin Island to spread the remains of another beloved dog who passed away in 2017. That said, thunderstorms were just not conducive. Crystal was terrific and was in contact with me the whole time, trying to coordinate our arrival and providing updates about the weather. While I am disappointed that we were not able to visit, I was happy to have a terrific host such as Crystal who was extremely accommodating of our shifting/changing travel plans. Her cottage looks super cute, which is why I booked it in the first place. Combine that with a wonderful, caring personality and this rental is top rate all the way. Highly recommend! This home and area is perfect for a group.